This policy sets out our policy on the privacy of the individual. 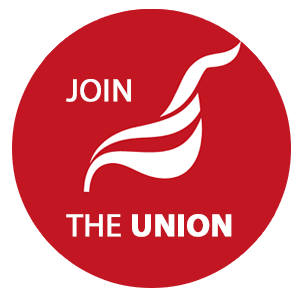 Unite takes your privacy seriously and information will be used in accordance with the Data Protection Act 1998. Your use of this website signifies your consent to us collecting and using personal data about you as specified below in accordance with this policy statement. Should we choose to change these terms for any reason, the changes will be posted here so that you are always kept informed about the collection and use of your personal information, and when we disclose it. 2.0 - How do we collect personal information about you and how is it used? 2.1 You may provide personal information when communicating with us. 2.2 You may use our services and give your name and e-mail address to make a comment about our services or Web site. 2.3 If you enter a competition or promotion we will ask your name, address and e-mail address. 2.4 We will collect information about your tastes and preferences, both when you tell us and by analysis of customer traffic, including using "cookies". 2.5 It may be that some of the personal information you give us (for example, about your health and age) is sensitive personal data within the meaning of the Data Protection Act 1998. Such information ("sensitive information") will only be disclosed with your express consent. 2.6 It may be that you provide us details of credit or debit cards or bank accounts in making payment to us. Any such information (confidential financial information) will be disclosed only in accordance with the disclosure policy below. 2.7 We may use personal information collected about you to help us develop the layout of our website to ensure that our site is as useful and enjoyable as possible. 2.8 We may use personal information collected about you to let you know about functions on our Web site or changes to our terms and conditions of use. We may provide aggregate statistics about sales, customers, traffic patterns and information to third parties, but these statistics will not include any information that identifies you. We reserve the right to access and disclose individually identifiable information to enable us to comply with applicable laws and lawful government requests to operate its systems and to protect itself or its users. 5.0 - How do we protect your information? We have strict security procedures covering the storage of your information in order to prevent unauthorised access and to comply with the terms of the Data Protection Act 1998. This means that sometimes we may ask you for proof of identity or for other personal information before we can process your call or enquiry further. 6.0 - What are cookies and how do we deal with them? A cookie is a piece of information that is stored on your computer's hard drive. It is normally sent by a web server to you and enables the server to collect information back from your site visit. If you have any questions or concerns about this policy, please contact Unite directly. Copyright 2019 Housing Workers | All Rights Reserved .